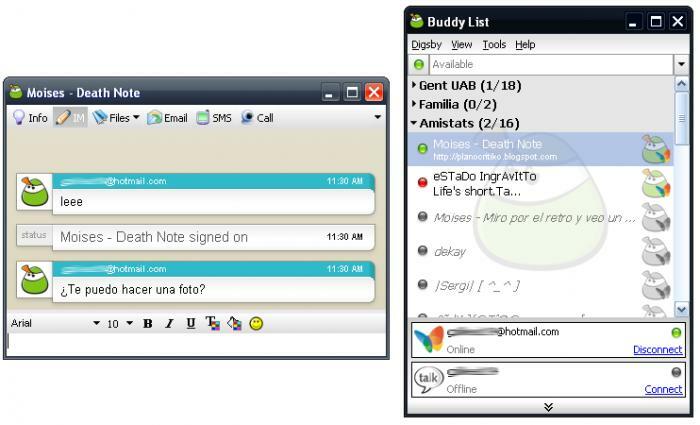 digsby is a multiprotocol IM client that lets you chat with all your friends on AIM, MSN, Yahoo, ICQ, Google Talk, and Jabber with one simple to manage buddy list. digsby is also an email notification tool that alerts you of new email and lets you perform actions such as 'Delete' or 'Report Spam' with just one click. And digsby is also a social networking tool that alerts you of events like new messages and gives you a live Newsfeed of what your friends are up to. Note: this program has not been updated since mid-2012 and may be subject to security issues. The program requires setting up a Digsby account. Fix for Facebook connectivity issues. The latest version of Digsby is 30295. In the official change log it- http://wiki.digsby.com/doku.php?id=changelog - it is given as Build 92 - r30295, but in 'About Digsby' inside the program the version is shown as 'Digsby - Build 30295'. I guarantee that the latest installer is clean and there aren't any third party offers during installation.